An apple a day keeps doctor away. This is the common slogan that we heard since we’re child, but in fact consume persimmon has good benefit rather than apple. As reported by Reuters Health, New York, this reddish orange fruit is better than apples, especially for maintaining heart health. Persimmon has been planted in China and Japan since centuries ago, and now become a popular fruit in temperate climates countries. 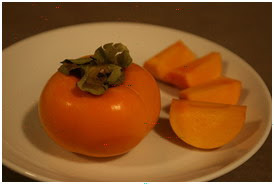 Persimmon contains of fiber, that two times more than apples. Nutrition in it is also more complete, like sodium, potassium, magnesium, calcium, manganese, and iron. In addition this magnificent fruit also equipped with phenolic acids that very powerful to counteract free radicals.